Looks like we’re in the early stages of starting multiple threads about other interesting coaching changes around the country. Note to Mods: Maybe those threads can be merged with this one. You can’t let a coach go who consistently gets you to elite eights. But I swear his inability to see trends and take advantage of them is shameful. Sounds like he isn’t the only UK fan a little bit tired of coming up short with so much talent on the roster. So ridiculous to talk about parting ways with Cal. If you can’t handle March go to the NBA for your fandom. Kentucky was a 2 seed they played to their seed this year. So ridiculous to talk about parting ways with Cal. That’s exactly what I said! Told him we would be glad to trade places with them until we get tired of making it to the Elite 8. 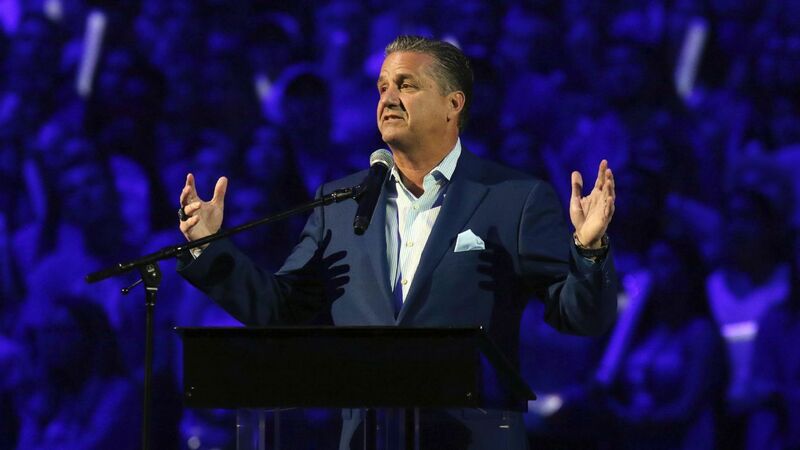 USA Today shows Coach Cal is by far the highest paid college basketball coach, making more than $2.2 million more per year than Coach K at Duke. Also of note, his buyout is $25,000,000 (!!!) and his current contract runs through March 2024. I’m not sure if the buyout goes down over time, but I don’t think he’s going anywhere this year for sure. With that big of a buyout, I don’t blame them for letting someone else talk to their coach. “We don’t have the money to pay the players.” Apparently Kentucky does. So that’s how the celebrity money is gonna be used! I thought the lifetime contract had to be an April Fools joke, but it appears to be true. Of course, he is Italian. Might want to get a definition of “lifetime”…eh Guido !! Be careful what you sign up for, capisci? Humor …learn to love it !! That is the buyout if the school fires him, not what he would owe i he left. I haven’t reviewed his contract, but don’t buyouts normally work both ways depending on how the coach leaves? Or is Cal just powerful enough to get a one way street on that deal? There is usually a buyout going both ways but the buyout from the coach leaving is usually lower than the buyout for being fired. Cool! I love humor! Self deprecation is my favorite! On the radio this morning the broadcaster was making a case that Calipari and Jim Harbough are the most overrated college coaches in their respective sports. He pointed out that Cal has had 25 first round draft picks at UK and, in the same period, combined Coach K and Roy Williams have had only 27. Yet, UNC and Duke have had 4 total NCAA championships. He had a lot of good points. A team with 2 or 3 first round draft picks every year, and the rest of the team being solid HS stars, should have more to show than one national championship and a handfull of eleite 8s.